– Working in partnership with the school. – Promoting partnership between the school, pupils and Parent Forum. – Promoting the school’s welcoming ethos among the Parent Forum. – Developing and engaging in activities that support the education and welfare of pupils. – Promoting and encouraging the participation of the Parent Forum in these activities. – Identifying and representing the views of the Parent Forum on the education provided by the school and other matters affecting the welfare of pupils. – Participating in the appointment procedures for Head Teacher and Depute Head Teacher appointments. Membership of the Parent Council will be drawn from the Parent Forum. 2.1.2 Class Rep positions are for a term of two years with appointments normally being made at the AGM (but see 2.1.7). 2.1.3 Class Reps that start part way through a year are deemed to have served one year at the following AGM. 2.1.4 When a year group or groups is re-arranged (whether the year is mixed up, one class is split or composite classes are created) the Class Reps for that/those years have to stand down at the AGM but can stand again as per 2.1.6 below. 2.1.5 Class Rep positions may be held for multiple terms but an individual can only hold one Class Rep position at a time. 2.1.6 Expressions of interest to become Class Reps will be invited prior to the AGM. If there are more than two expressions of interest for a Class Rep position then the individuals will be informed prior to the AGM so that they can decide amongst themselves who will be their class’s Class Rep. In the event that agreement cannot be reached by the individuals, names will be drawn at random at the AGM. Anyone not selected to be a Class Rep will be encouraged to participate in sub-committees and other Parent Council activities. 2.1.7 Any Class Rep resigning prior to an AGM will be replaced using the same process as in 2.1.6 above at the earliest possible Parent Council meeting. 2.1.8 If no member of the Parent Forum puts their name forward to represent a particular class it will be the responsibility of the Parent Council to represent that class on general school issues. Any member of that class’s Parent Forum may approach the Parent Council for representation on specific issues. 2.1.9 In the event that a class is unrepresented at more than 2 consecutive Parent Council meetings without apologies the position may become available at the next Parent Council meeting, using the same process as in 2.1.4 above. 2.2.1 Office Bearer positions are for a term of one year with elections held at the AGM. Office Bearers may be re-elected for multiple terms but may not hold more than one of the Office Bearer positions at one time. 2.2.2 Prior to each AGM, nominations for Office Bearers will be invited from the Parent Forum. If there is more than one nomination for a particular position it will be decided by secret ballot of members of the Parent Council in attendance at the AGM. Each nominee will be given a chance to present information prior to the ballot. If any of the elected Office Bearers are not existing Class Reps they will be co-opted onto the Parent Council and will be entitled to a vote. 2.2.3 If no nominations are forthcoming for the position of Treasurer from the Parent Forum then the Parent Council will co-opt a suitable Treasurer. The Treasurer will open a bank account in the name of the Parent Council if there is not one already in place. Withdrawals will require the signature of the Treasurer and one other authorised signatory from the Parent Council. 2.2.4 The Treasurer will keep an accurate record of all income and expenditure, provide a summary at each Parent Council meeting and a full account at the AGM. The Parent Council accounts will be audited on an annual basis by an independent auditor. 2.2.5 If any of the Office Bearers resign prior to an AGM, then an additional meeting of the Parent Council may be called to elect an Interim Office Bearer until the next AGM. Any such Interim Office Bearer will be elected from within the Parent Forum using the process as in 2.2.2 above. 3.1 Sub-committees (Appendix 1): Sub-committees will be formed as required to help and support the Parent Council in achieving its aims. Each sub-committee will have Co-ordinators and members who need not be Parent Council members. A representative from each sub-committee should attend each Parent Council meeting. Each sub-committee should submit a written report detailing any achievements / proposed activities for approval at each Parent Council meeting. 3.2 Head Teacher: The Head Teacher, although not a member of the Parent Council, has a right and a duty to attend meetings or send a representative. 3.3 Administration Clerk: An Administration Clerk post is funded by East Lothian Council. 3.4.1 The Parent Council and associated Sub-Committees may co-opt members with no voting capacity to assist with carrying out its functions when necessary. School staff, both teaching and non-teaching are encouraged to attend Parent Council meetings and participate on Sub-committees. 3.4.2 Sub-committee Co-ordinators, the Head Teacher, the Administration Clerk and co-opted members (except for any co-opted Chair, Vice-Chair and Treasurer) do not have any voting capacity. 4.1 Parent Council members who act in a way that is considered by other members to undermine the objectives of the Parent Council will be spoken to individually to attempt to resolve the problem. In the event that such problem is unable to be resolved the matter may be discussed and determined at the next Parent Council meeting. 5.1 The Parent Council will meet a minimum of once per term. All meetings will be open to the public unless there is an issue being discussed of a confidential nature. Dates of routine public meetings of the Parent Council will be communicated to the Parent Forum at least two weeks in advance. 5.2 Copies of minutes will be available to the Parent Forum in all appropriate formats. 5.3 The Parent Council will make a report to the Parent Forum at least once a year but ideally once a term on its activities on behalf of the Parent Forum. – A report on the work of the Parent Council and sub-committees. – Changes to the membership of the Parent Council. – Approval of the accounts and appointment of the auditor as appropriate. 5.5 Additional meetings shall be called as necessary and if requested by at least 9 members of the Parent Council in order to discuss specific issues. Seven clear days’ notice will be given to all members of the Parent Forum. 6.1 The quorum of the Parent Council will be any 9 members of the Parent Council. 7.1 Each nursery and school class is entitled to one vote, to be cast by the relevant Class Rep(s). In the event there is more than one Class Rep for a class those Class Reps must agree how to vote without unduly prolonging proceedings. In the event that the Chair, Vice-Chair or Treasurer is not a Class Rep, then they also have one vote each. The Chair or, in their absence, the Vice-Chair, has a casting vote in the event of a tie. In the case of election of Office Bearers, all Class Reps have one vote each. 7.2 At all Parent Council meetings whether open or closed, only Parent Council members will have voting rights as stated above. 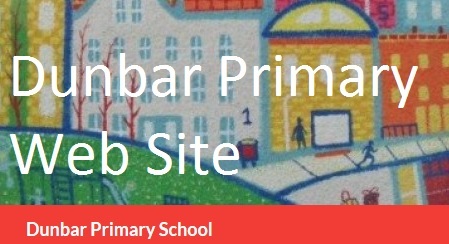 8.1 Should the Parent Council cease to exist, any remaining property will be passed to the education authority to be used for the benefit of the pupils of Dunbar Primary School. 9.1 The Parent Council may change its constitution with the consent of 9 members of the Parent Council. Members of the Parent Forum will be sent a copy of any proposed amendment and given 2 weeks to respond to the proposal. Sub-committee areas: example areas that the Parent Forum could be involved in to support the school. This list is not exhaustive or binding.